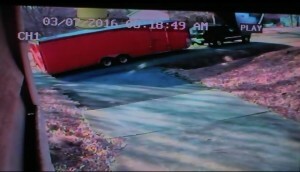 The Pickens County Sheriff’s Office is currently investigating the theft of a large enclosed cargo trailer that was parked in the driveway of an Easley residence that occurred on Monday, March 7, 2016. The stolen trailer is described as a 60ft enclosed “Hallmark” tandem axle trailer with a side door and is red in color. 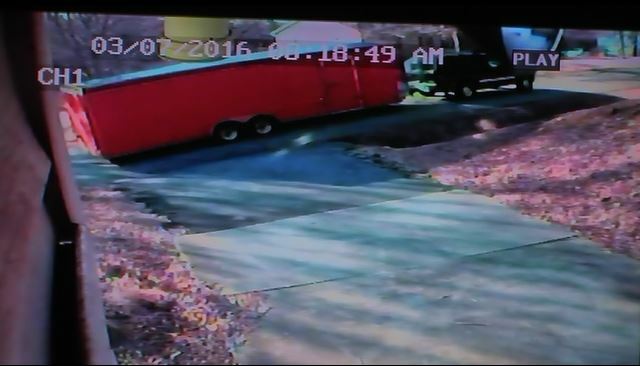 The trailer which was parked in the driveway of a residence located at 126 Midland Dr. in Easley is believed to have been stolen at approximately 8:15 to 8:20am after the homeowner had left the residence. A 1931 Ford car was inside the trailer at the time of the theft and is described as a “Hot Rod” model 2s and is black in color. The vehicle is currently not operational. 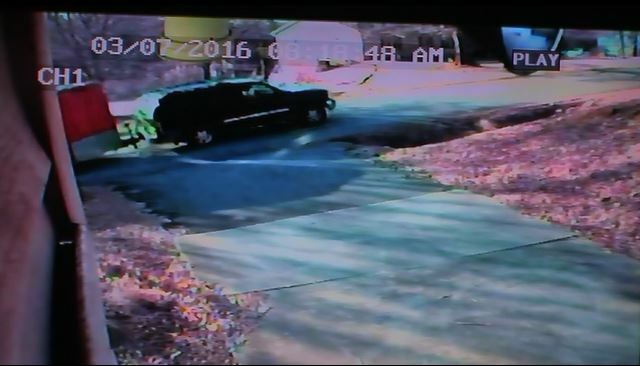 The Sheriff’s Office is providing three images that were collected from a home surveillance system near the residence of the theft that show the trailer being pulled by a dark colored SUV believed to possibly be a GMC Yukon or Chevrolet Tahoe. Additional information that has been discovered during the investigation is that the SUV may have been occupied by a white male and white female. 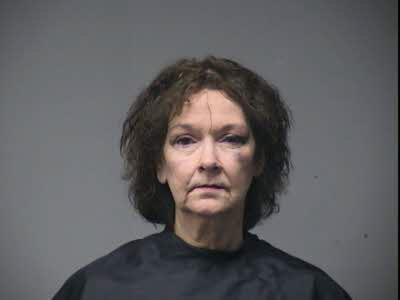 The Sheriff’s Office is asking anyone with information about this case to please notify the Sheriff’s Office at (864) 898-5500 or Crimestoppers at 1-888-CRIMESC. 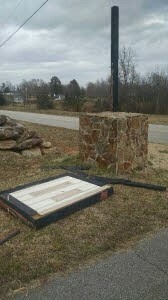 The Pickens County Sheriff’s Office continues to investigate the shooting that occurred last night on Pope Field Rd. There has been no change in the investigation from the last release. Sheriff’s Detectives are waiting to receive clearance from the hospital that the male gunshot victim transported from the scene is able to speak with Detectives and answer questions about the events that took place leading up to the shot being fired. The Sheriff’s Office has identified the male patient as Clayton Ashley Anderson (30yoa) who is currently admitted to a local hospital for injuries sustained as a result of a single gunshot to the chest. The shot is believed to have been fired from a handgun owned by another individual present at the scene during the altercation. Anderson is the husband of Brandi Lee Anderson (31yoa) who was also treated and released from the hospital for a gunshot wound to the hand. Preliminary information is that a verbal altercation between Clayton Anderson and his wife, Brandi Anderson, led to a physical confrontation at which time a third party intervened. 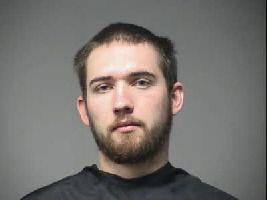 A single shot was fired and both of the Andersons were struck with the pistol round. A 9mm handgun was collected from the scene and is believed to be the weapon involved in the incident. Additional information will be released as the investigation continues and after all parties have been interviewed by the Sheriff’s Office. No charges have been filed at this time. The Pickens County Sheriff’s Office is currently investigating a shooting after receiving a call at approximately 5:44pm this afternoon that a shooting had occurred at 524 Pope Field Rd in Easley. Deputies arrived on the scene as two adults were being transported to the hospital. 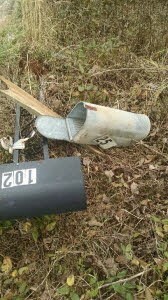 An adult female received a wound to the hand and an adult male had what appeared to be one gunshot wound to the chest. 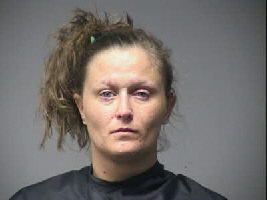 Preliminary investigation is that the male and female are married but currently separated. Both the male and female were injured from the same gunshot that was fired by a third person inside the residence. A total of four people were at the home when the incident occurred. Sheriff’s Detectives are currently interviewing two individuals from the scene at the time of the shooting. One of those subjects is believed to be the person that fired the shot. No arrests have been made at this time as Detectives are still collecting evidence and conducting interviews. A handgun has been seized from the residence and is believed to belong to one of the uninjured persons being interviewed. The Sheriff’s Office has confirmed that there were a total of four people at the home during the encounter and there were no children present. The incident stemmed from a domestic altercation between the married couple. No additional information will be released until further investigation can be completed.